Melbourne is a delicious, delectable city to live in, where arguing about where to find the best flat white is a state sport. 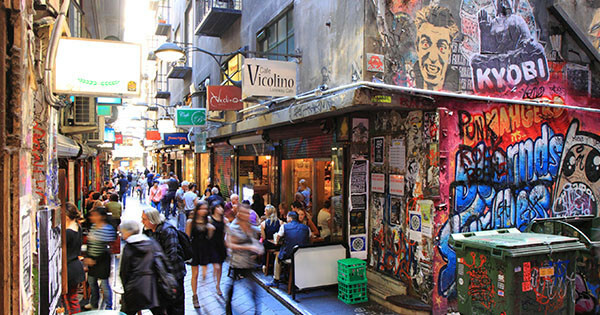 If you’re moving to Melbourne and want to live in a foodie hot spot it’s hard to go wrong as good food, laneway bars and café options can be found sprouting out of the pavement. But there are definitely some suburbs that stand out for their culinary exploits. 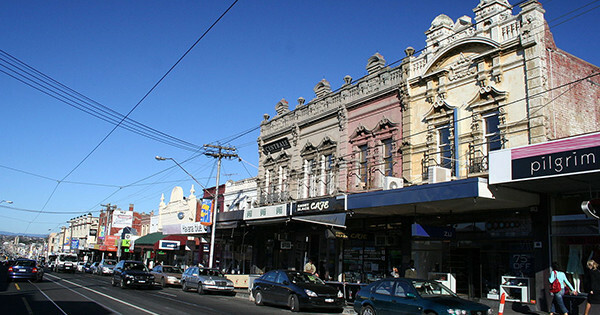 With a rich Italian migrant history, the small suburb of Carlton has long been a Mecca for all things coffee, gelati, pasta and pizza, and Lygon Street is the epicentre. Popular places for a steaming bowl of bolognaise are D.O.C. Espresso, 400 Gradi and Brunetti (all along Lygon Street). The heavy uni student population also makes it easy to eat on the cheap – Saigon Pho, Chai Eat Like Malaysian and Café Italia all do a cheap feed. For something different, the new, all-day cheese bar Milk the Cow is developing a strong fan base. The concentration of restaurants, cafés and bars within a one-kilometre square radius of the slightly grungier end of Chapel Street is mind-boggling. Here a Saturday morning is not complete without ordering smashed avocado on toast at Journeyman or St Edmonds cafés. For dinner, there’s David’s for a Shanghai banquet; Borsch, Vodka and Tears for a delicious Polish feast; or Boston Sub for a greasy American-style sandwich (where you can open the freezer door to reveal a hidden cocktail bar). Alternatively, pick up the ingredients for an at-home feast from the Prahran Market. Richmond is the rising star of Melbourne’s dining scene with an explosion of new restaurants cementing Bridge Road, Swan Street and Church Street as all-day eat streets. New restaurants Kong (smoky Asian barbeque), Noir (French) and Romulus & Remus (Italian) have all upped the suburb’s culinary pedigree. 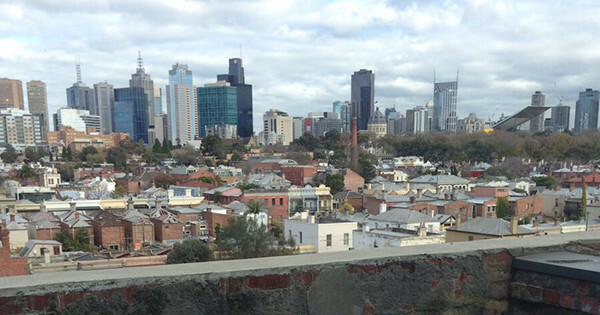 If a beer and burger is more your style, you’ll find a pub every few metres down Swan Street. Try the Corner Hotel for rooftop drinks, the Richmond Club Hotel for a party atmosphere or indulge in gastropub fare at the Royal Saxon on Church Street. Victoria Street, known as Melbourne’s Little Saigon, is a popular haunt for fresh and fast Vietnamese food. 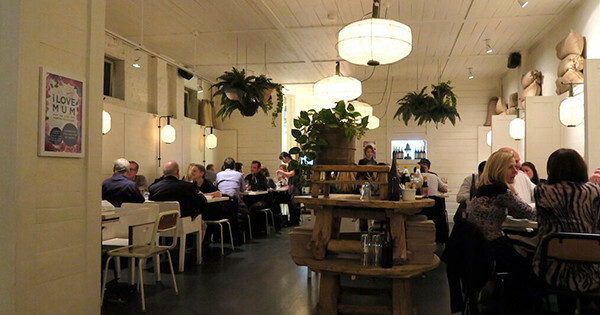 This on-trend, gentrified inner-north suburb is fast becoming a foodie enclave. Gertrude Street is a microcosm of Fitzroy: once an area you’d steer clear of, now home to a cool crowd frequenting popular bars, restaurants, pubs, boutiques and galleries. 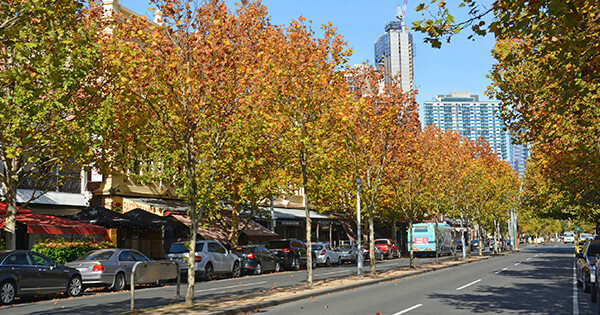 You could spend all day eating and drinking along this small strip, with brunch at Birdman Eating, afternoon tea at Archie’s All Day, Ladro for dinner (pizza) or the fancy Cutler & Co (modern Australian), and finish off with a wine at Gertrude Street Enoteca or beer at the Builders Arms Hotel. But Fitzroy’s food scene isn’t just dominated by Gertrude Street, repeat this on Brunswick Street (home to the super popular tapas rooftop bar Naked for Satan) and to a lesser extent Johnston Street.